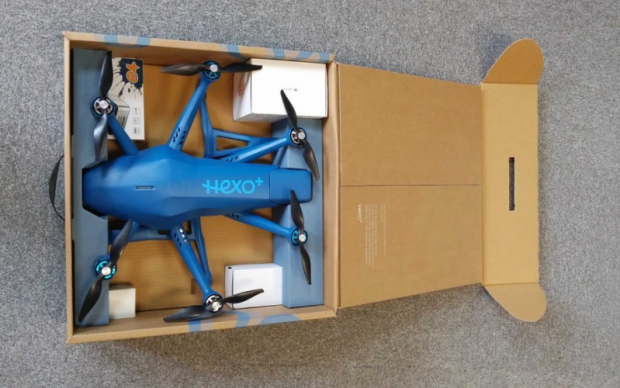 We’re excitedly waiting for delivery of our Hexo+, one of the first fully autonomous camera drones to make it to market. Hexo+, the brain child of pro snowboarder Xavier De La Rue, has been a long time coming, but with teasers like Degrees North, which used one of the prototypes, you can see why we are looking forward to seeing what we can do with it. The Hexo+ has a 3-axis gimbal keep the Go-pro stable, 6 rotors rather than the more common 4 and the rotors are tilted to optimise flight for forward motion rather than hovering meaning it can follow you at up to 40mph. The Hexo+ is controlled with your phone, and you can story-board it’s actions with functions such as fly-away, circle and, obviously, follow, all of which are controllable for range. It’s designed to be small enough that it can easily be strapped to the back of a pack, and the packaging it’s delivered in is designed to be reused to transport it; they seem to have thought of everything for this drone. Where would you like to see us take the Hexo+ when it arrives?